Thanks to magnetic levitation research in conditions of microgravity, scientists have developed a new technology for 3-D printing of biological tissues. In the future, this technology will help to create radiation-sensitive biological constructs and repair damaged tissues and human organs. The results are published in Biofabrication. There are many methods of 3-D bioprinting. Most of them use a certain layer-by-layer framework of the biological tissues. The resulting bulk material is then sent to the incubator where the cultivation continues. There are ways in which biological objects are developed without the use of a multi-layer approach, for example, magnetic bioprinting, in which the cell material is directed to the desired location by means of magnetic fields. In this case, the cells should be labeled in some way with magnetic nanoparticles. The researchers from the 3-D Bioprinting Solutions company in collaboration with the other Russian and foreign scientists developed the new method, which allows researchers to create 3-D biological objects without the use of layer-by-layer approach and magnetic labels. This new method was developed with the contribution from the Joint Institute for High Temperatures of the Russian Academy of Sciences (JIHT RAS). "During the period from 2010 to 2017, a series of experimental studies were carried out aboard the Russian Orbital Segment of the International Space Station with the Coulomb Crystal experimental device. 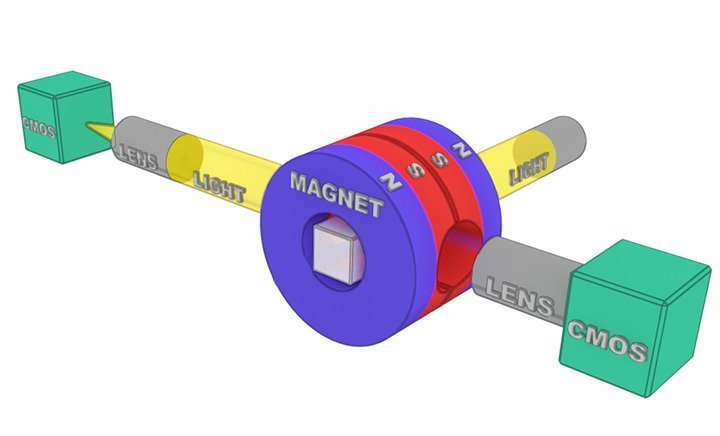 The main element of the device is an electromagnet that creates a special inhomogeneous magnetic field in which the structures of the diamagnetic particles (they are magnetized against the direction of the magnetic field) can be formed in the microgravity conditions," says co-author Mikhail Vasiliev, head of laboratory of dusty plasma diagnostics in JIHT RAS. The conventional methods of magnetic 3-D bioprinting had a number of limitations associated with the gravity. To reduce the influence of the gravitational forces, one can increase the power of magnets that control the magnetic field. However, this will complicate the bioprinter considerably. The second way is to reduce the gravity. A group of scientists from 3-D Bioprinting Solutions used this approach. The new method is called formative three-dimensional biofactory, and it creates three-dimensional biological structures not in layers but immediately from all the sides. The researchers applied the experimental data and the results of the mathematical modeling obtained by the JIHT RAS scientists to control the shape of such structures. "The results of the Coulomb crystal experiment on the study of the formation of the spatially ordered structures led to the development of a new method for the formative 3-D biofactory of the tissue-like structures based on the programmable self-assembly of the living tissues and organs under the conditions of gravity and microgravity by means of an inhomogeneous magnetic field," said the author. Bioprinters based on the new technology application will be able to create various biological constucts that can be used, for example, to estimate the adverse effects of space radiation on the health of astronauts on long-term space missions. In addition, this technology will be able to restore the function of the damaged tissues and organs in the future.